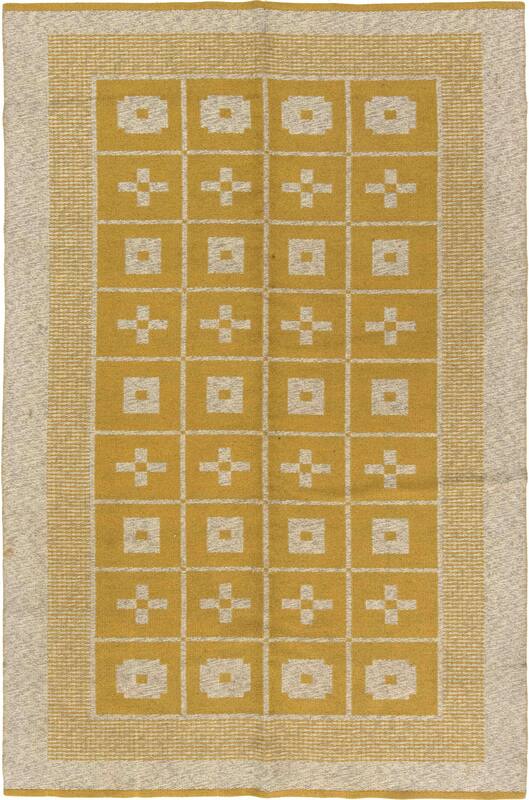 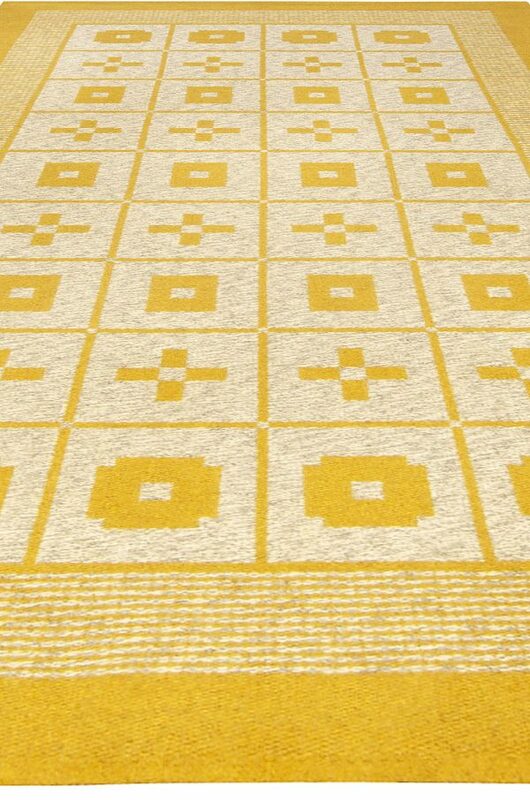 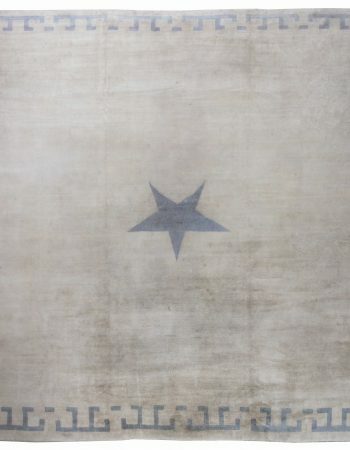 This vintage Swedish rug is a paragon of Scandinavian craftsmanship. 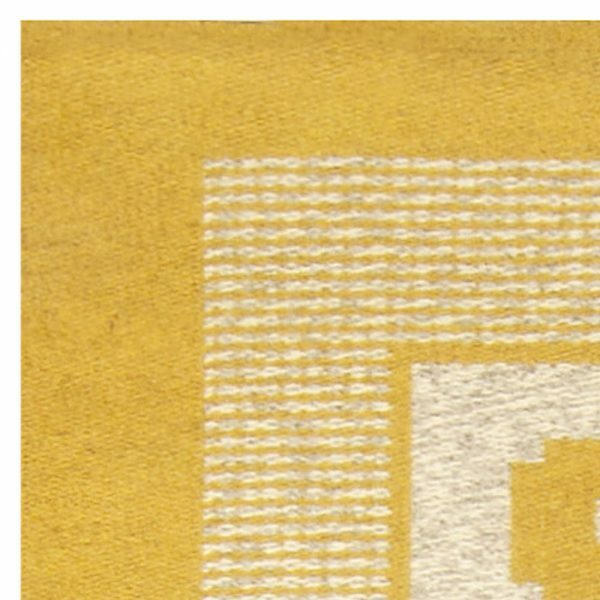 Due to its ingenious construction and top-notch execution, it has survived until this day without the slightest signs of blemish, and so it will surely serve its lucky owners for years to come. 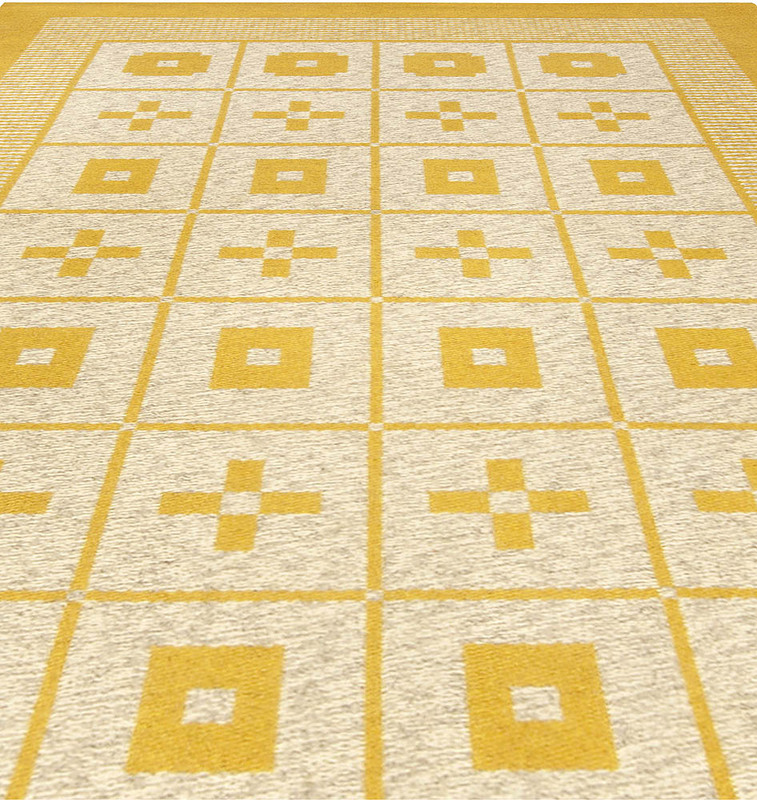 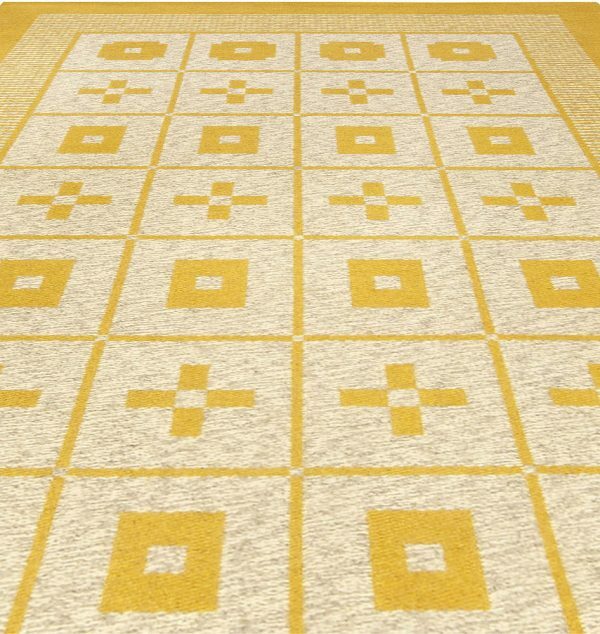 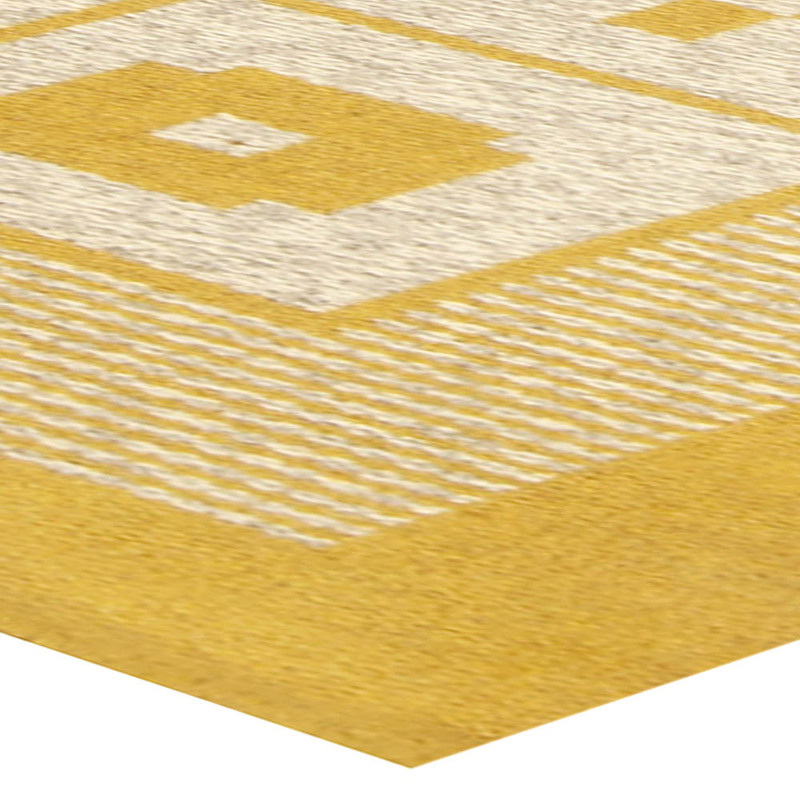 The reversible flat-weave rug was meticulously hand-woven of the finest wool in accordance with traditional weaving techniques by a skilled artisan who gave it two usable faces – one being the negative of the other. Thanks to this clever trick, one item contains twice as much beauty, not to mention its considerably prolonged lifespan. 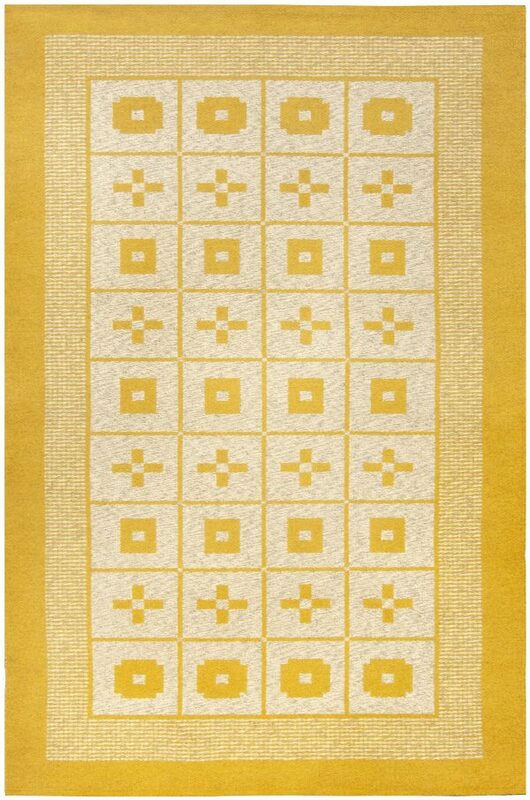 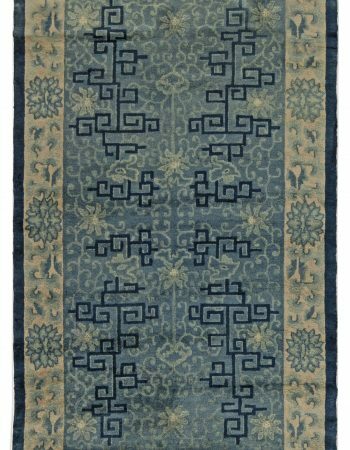 The vintage rug boasts an uncomplicated grid pattern adorned with geometric shapes, resembling the game of noughts and crosses, enclosed within two thick borders. Although simplistic, the design is properly balanced and invigorated with a profound warm mustard yellow shade intercepted by subtle heather gray. 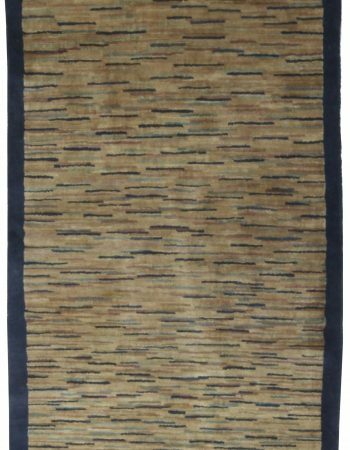 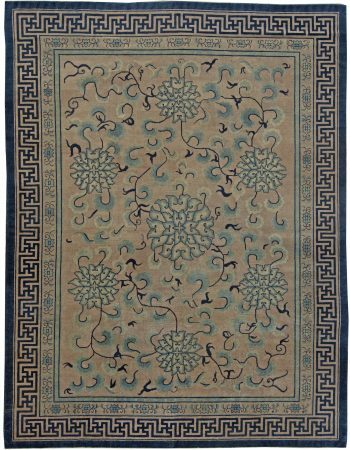 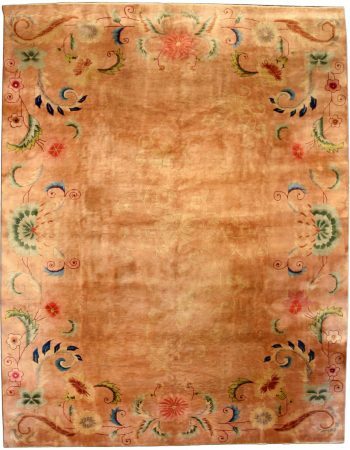 Used on one side or the other, this vintage Swedish reversible antique rug will enhance a wide variety of contemporary interior décors, bringing in the freshness and eternal chic of Scandinavian art.